SO FUNNY! I need to share this one with my class. 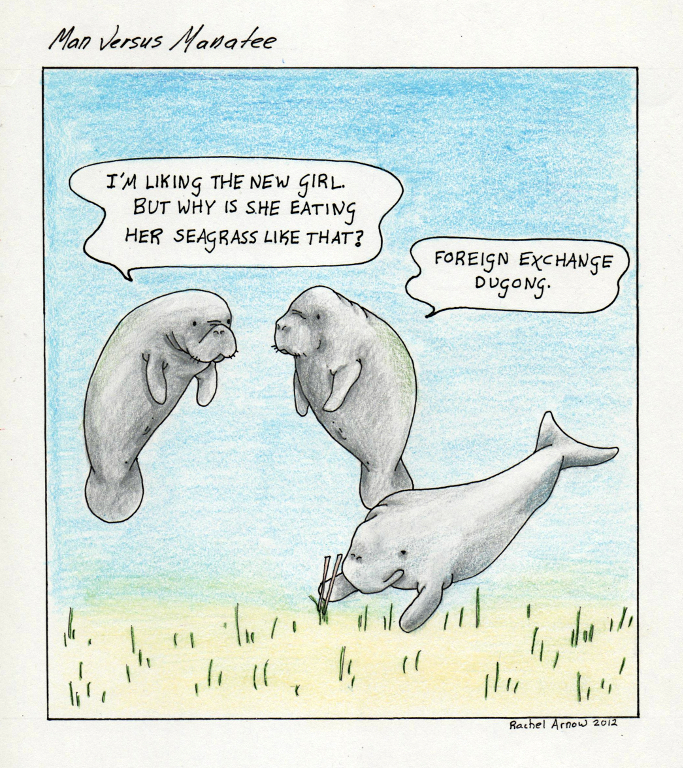 If dugongs eat with chopsticks than do manatees eat with forks? And if so, why do they never eat with forks in the other comics? Dugongs are native Indian Ocean dwellers. So they live near Asia.